I have several pc of EF lens ,the Mini Cameras with EF mount plus my limited budget, I chiong for it. Of course I am prepared to have less cameras function than my current FS7. 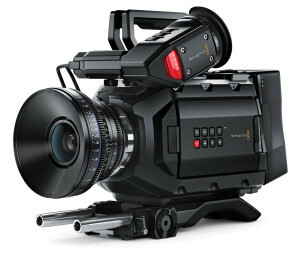 I think Blackmagic is getting serious about Camcorder business, they come out new cameras one after the other, there be more interesting product by next April 2016. 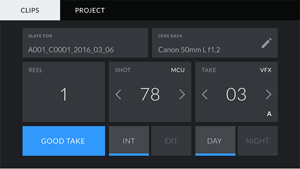 • Added ability to store up to 6 custom 17 point or 33 point LUTs into the camera's internal flash memory. • Added the ability to export one of the camera's 3D LUTs to CFast media so you can pass the 3D LUT to a colorist or editor. • Added ability to delete 3D LUT from camera's internal memory. Blackmagic Design today announced a major new camera operating system for its URSA Mini cameras. This new camera OS features an incredible new user interface along with dozens of new features and will be available later this year free of charge for all URSA Mini customers. The new URSA Mini camera OS is not just an upgrade, it's a total rewrite from the ground up. 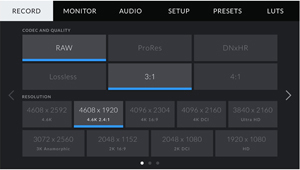 The new OS has been specifically designed for the high performance processing architecture of URSA Mini and delivers a much more responsive experience, along with an entirely new user interface that makes using URSA Mini faster and more intuitive than ever before. In addition, there are now custom white balance and white balance presets, along with tint control settings. Customers also get more accurate shutter angle selection, including a large easy to use on screen keyboard for easy entry of settings. When entering the shutter angle, the new URSA Mini camera OS will even offer smart flicker free shutter angle suggestions to assist the camera operator. The new URSA Mini camera OS adds 1.33x and 2x anamorphic de-squeeze previews, along with the ability to double tap so customers can pan and zoom around the preview on the built in display. 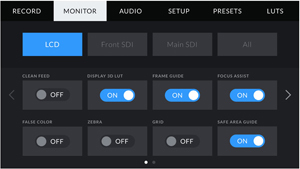 Customers can now import and store external 3D LUTs and apply the LUT to the LCD, front and main SDI outputs independently. 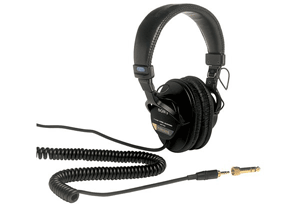 They can also load and save their own presets for different shooting setups or different operators.